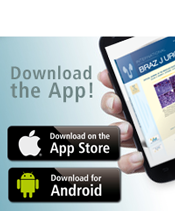 The International Braz J Urol accepts Video Clips submissions for placement on the Journal web site (Video Library). All videos are subject to peer review. Video files must be compressed to the smallest possible size that still allows for high resolution and quality presentation. File size limitation is intended to ensure that end-users are able to download and view files in a reasonable time frame. If files exceed the specified size limitation, they will not be posted to the web site and returned to the author for resubmission. A structured Abstract, with no more than 250 words, containing Title of the Video, Authors, Authors Affiliations, Corresponding Author Address and E-mail, must be provided with each video. MPEG2, AVI, WMV, FLV or MOV format. All files must be smaller than 80 mb and no longer than 8 minutes duration. 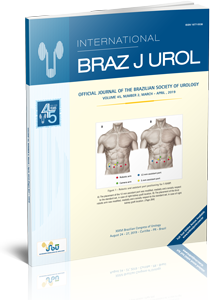 Recent issues of the International Braz J Urol must be observed concerning the presentation form of the videos. Any conflict of interest, mainly financial agreement with companies whose products are alluded to in the paper, must be clearly disclosed when submitting a manuscript for review. If accepted, a disclosure will be published in the final manuscript.